Hi Elaine, I just wanted to say a big thank you to you and your Team at Blueprint for the training we received from Frank. The course was intense but very good and feel I came away with a lot of new knowledge to take forward in the future. We still await our results lol, hopefully not too much longer, but I will be promoting your company in a big way through Social Media as that's what I do, again thank you. Done my door supervisor training here was easy to book. Mary and laine helped with any questions and confirmed everything by email. Mary called me as well just to confirm everything with me. Stuart was my trainer. He was amazing at his job and made me feel welcomed and he knows his stuff. He also has worked in the industry and had a great laugh with him but also learned a lot from him as well. I would highly recommend booking with Blueprint to do any SIA training. From start to finish it was perfect and well done to the amazing team at Blueprint. Keep up the good work. Thanks. Having done my Door Supervisor training this week with Stuart. I must say this was the easiest course to book on to thank you to Mary. The course itself was taught by Stuart who was nothing short of excellent. He always had the answer to the question and when he didn't he went out his way to find out. The course was formal but we still managed to have a great laugh. Big thank you to blueprint keep up the great work. Just finished my Door Supervision course with Alfie Cummings, thought the course was going to be really long and boring. Not the case at all with the instructor made it thoroughly enjoyable and interesting, couldn't rate him highly enough, great instructor and a top guy in general. Had time for everyone and helped each and every person on the course to the best of his ability. Would recommend the course to anyone interested and anyone that gets Alfie as your instructor you have nothing to worry about, the guy really is brilliant at what he does. Did my CCTV at The Overgate with Alfie Cummings. Top bloke, top instructor. Although there was a lot to take in, a lot was 'death by PowerPoint' but Alfie made it enjoyable. He made us all feel at ease. If we weren't sure of something, he took the time to explain it so we were well prepared for our exams. Thanks, Alfie, you're a top bloke. Hope I'm lucky enough to work with you in the future. I have used Blueprint Training on several occasions to send four of my clients on SIA training courses. The standard of service was excellent. My clients received additional help when completing SIA forms. Each of my clients was given the individual care and attention to suit their specific needs. The feedback from my clients was excellent. Nothing was too much trouble and the service was efficient and highly professional. I have to say our whole group thought the Blueprint Trainer was fantastic and thoroughly enjoyed the course. I just saw someone with a sling on the wrong way in Buchanan Street – made me twitch! Thank you for all your help during my 'door supervisor course', which I did with you back in December 2017. Your approach and teaching method gave me a lot of confidence and I thought you'd appreciate knowing that a week after I left, I got a job as a safety steward with a Security Company whilst waiting for my licence. The licence was granted on the 11th Feb but I may not need to use it. I applied for a job as a security officer with the Scottish Parliament, I've made it through all the stages and am awaiting security clearance, if that comes through ok, they'll make me a formal offer, if not, well, my licence should come in handy. None of this would have been possible without your help. Teachers in what ever field need to encourage and inspire their students and you certainly did that. Thank you so much. All the best. The course delivery and instruction has been second to none. The instructors teaching techniques, genuine enthusiasm, interaction and his overall subject matter knowledge made learning easy and enjoyable. I will have no hesitation in recommending and undertaking future courses with Blueprint Training. Overall a very good course and learning environment. Fully enjoyed. Excellent Instruction. From being involved in the airline industry, and fully understanding how vital it is to receive positive feedback. 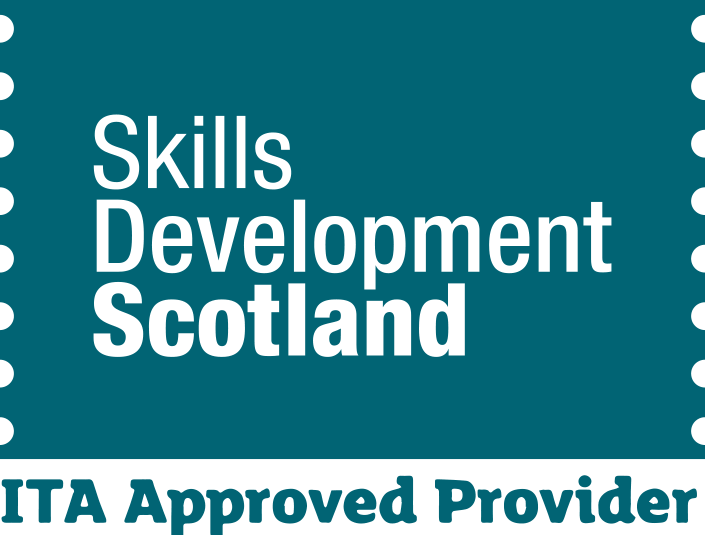 I would just like to write you all a line in respect to my recent training experience with Blueprint Training towards my SIA Door Supervisor License from the 16th-19th November 2013 in Edinburgh. Firstly, from enrolling in a 'top training organisation' in what was portrayed as one of Edinburgh's superior training providers prior to approaching Blueprint Training, they have been put to shame! Blueprint has certainly provided a service in which I have went away feeling absolutely satisfied with the service that I have received throughout the four day period without any hesitation. The booking experience was an absolute doddle, with Martin Williamson booking myself onto the course and sending all the relevant documentation as needed, the first impressions were certainly of a high standard! Coming round to the training, the tutor is, to say the least, a very experienced characterizable chap with a wealth of experience in the field that he was training in. Every day I would be warmly welcomed with a smiley, well presented face who obviously has passion in what he does! The material used for training (i.e- the presentations and notes) were of a very high standard, and in comparison with the last training provider I used. There was so much more material and experience brought to the table that helped greatly. I felt as if everything the trainer was explaining to me, I was taking a grasp of the information provided and somewhat taking it in. When it came to the examinations, I felt as if all the information provided by the trainer slurred out all at once, which is believe me a good sign! The tailored approach when it came to filling out the SIA application form was made very easy as the trainer went through every initial point with the group. All in all, I couldn't ask for more! The venue was second to none with a spacious, light room to carry out our training in. It was great to be part of the Securigroup venue, and to be examined by a Securigroup team member also as I am currently enrolling in their Door Supervisory work promoted by the company. I'm sure that I will be requiring further training in the near future, and by all means, Blueprint Training will be my first port of call! What a fantastic service, and a very big well done to Blueprint Training! I was at Edinburgh for my Door Supervisor course on 14-17th March. I was really nervous of what to expect never mind the commute from Dundee. On arrival I met the tutor who noticed we were nervous but he soon showed us not to be. The trainer was the Friendliest guy I have ever met. Some of the course confused me but the trainer helped me to understand it. All the training was amazing and he went out his way to help plan my route to Edinburgh for rush hour in the morning. We were never late and it was a privilege meeting this man. The group was really out going and we all had laughs and helped each other out during the Physical Intervention. I would recommend Blueprint to anyone for the training and if you go to Edinburgh you'll get to meet the trainer. The four days were amazing so I would like to thank my group and Blueprint and most of all the tutor. Thanks so much and I will remember my training as I was taught. The tutor was actually exceptional. I enjoyed every bit of my lessons highly recommended. Absolutely fantastic experience with Blueprint Training! The course tutor was definitely the most professional and inspirational person I have ever met! A thank you to the trainer, you made the course very worth while and extremely enjoyable. Would most certainly recommend Blueprint to many people who have an interest or want to get into the security industry as you will receive the best training there is, by the best tutor there is! Excellent training given by people who know the industry inside out. If you want the best, then Blueprint is it. I have just passed my SIA upskills course through Blueprint Training. I would recommend this company to anyone. My instructor Stuart Nicoll was great and passed on his extensive knowledge and experience to the class.